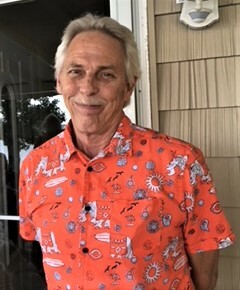 Frank “Pappy” Sewell, age 64 of Oak Ridge passed away Friday, July 13, 2018 at his home. He served our country in the US Navy. He retired from Anderson County after 32 years and became Director for Knoxville Recycling Coalition where he worked for 7 years. Frank was a drummer and played with the “West Side Cats” and “Mojo Tweed”. He is preceded in death by parents, Bill and Frances Sewell, his brother, Billy Sewell, sister – in -law Mary Sewell. He is survived by his wife of 10 years, Pam Ebert Sewell, children, Rachel Sewell Nesteruk, Daniel Thomas and wife Nina and Ryan Thomas, grandchildren, Moses Nesteruk and Sawyer Thomas. Sister, Mary Lou Sewell Murphy and husband John, brother, Joe Sewell, sister-in-law, Gail Sewell, numerous nieces, nephews, cousins and other family members and good friends. Frank chose cremation with a party to follow at a later date.